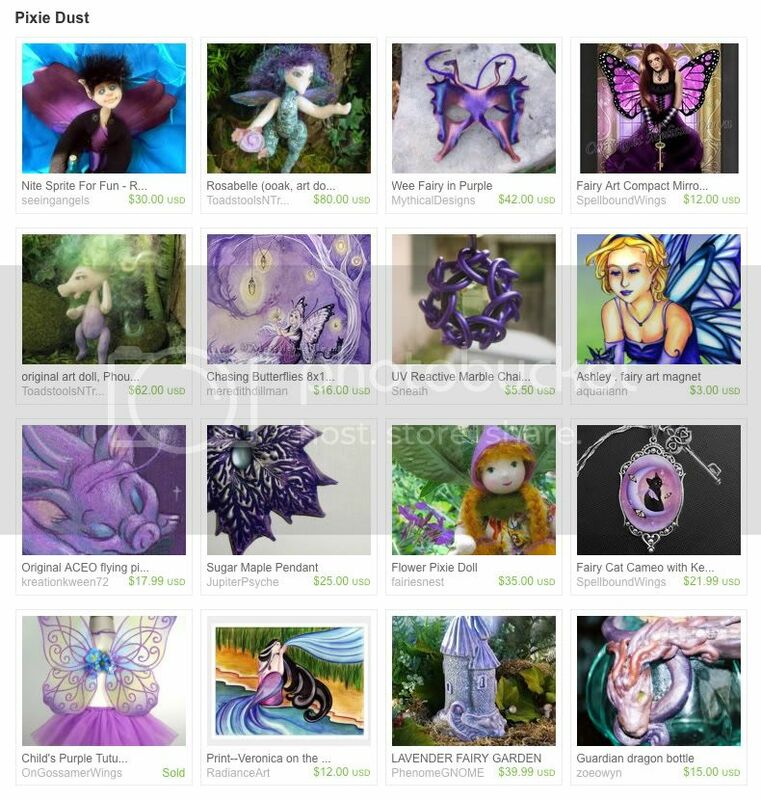 Stretch your fairy wings and take flight with Fantasy Artist of Etsy, Kelly of She's That Girl Soap Shop. My Ashley fairy and her butterfly friend are taking a moment to breathe in this whimsical collection of vivacious purples. i read that bright colors are IN for autumn, so Ashley is a stylish gal. How fun! I so rarely come up with very good treasury themes. I take the lazy route and go for colors! Gorgeous colors in the treasury! Oh, the colours in here are just DREAMY! Must go click them! Thanks for sharing! Following via Tara's Blog Hop. Would love to have you follow back. Just found you, and joined, by way of Tara's and the blog hop. My daughter's name is Asheley and she absolutely loves fairies. I'll be sure to pass this on to her. This is so cool! The colors are beautiful. Nicely put together, as well. Congrats on being featured in the treasury! Your work is beautiful... Did you go to art school? I love this treasury. I am going to share this with my friend Laura ... who is as ethereal, beautiful and mysterious as this treasury.